Chances are you have never needed to use an emergency plumber. If this is the case than that is good. However, should you find yourself in an emergency, than knowing who you can call and having this option is necessary as it is going to save you thousands, if not tens of thousands of dollars in potential repairs later on down the road. 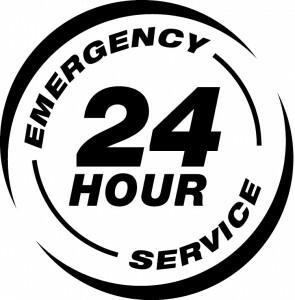 Of course, not all problems constitute an emergency, so if you are able to wait a day without your home sustaining damage, than chances are you cain wait for the traditional plumbing service. However, if your home is sustaining damage or if there is a potentially life threatening problem at hand, you need to bring in the emergency plumber. Naturally, the main one is to help you save thousands of dollars by avoiding costly repairs. In the event of a burst pipe or similar situation, it can cause hundreds of gallons of water to fill up in a basement or other room. 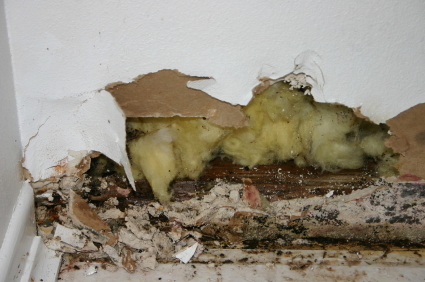 This may force you to remove the flooring, walls, insulation and even later remove other elements of the room due to the development of mold. This all becomes extremely expensive and is why you need to use an emergency plumbing service should you find yourself in such a situation. There are a few ways you can do this. If you are leaving on vacation during the winter months, make sure the heat for your home is not turned off but left in the low 50s range. This is going to prevent your pipes from freezing. Freezing makes the water expand, which can potentially burst a pipe. It is also a good idea to have someone stop by occasionally and have them run the water for a bit. This keeps the water from settling too long, which can also help prevent the water from freezing. Beyond this, you need to have a regular inspection of your plumbing. This way, you can avoid costly problems and repairs later on down the line. 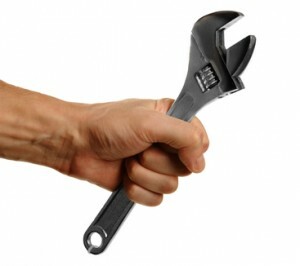 It also can help you identify problems you have now, so you can take care of the issues before it develops into a major situation and you need to contact the emergency plumbers. 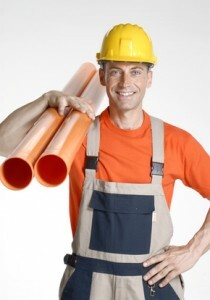 For an Emergency Plumbing job in the Cedar Falls area, Dalton Plumbing, Heating, & Cooling Inc. is the company for you! Call (319) 266-3513 and get the experts on it. Without air purifiers, tons of dust, mold, and other debris would build up in the air and vents of a family’s home. This in turn can cause a wide range of health problems such as asthma, bronchitis, lung infection, and all sorts of other illnesses. This is why having a good working air purifier is vital to the health of all inhabitants inside a house. Immediate benefits of a good working air filter include better breathing, less dust accumulations, and cleaner air. Air purifiers use very effective methods of cleaning air, such as using activated charcoal. There are many different types of air purifiers such as air cleaners, HEPA cleaners, ionizing purifiers, ozone generators, and absorbent air purifiers. However, they all use the same principle to purify air by running air through some sort of filter. For instance, air cleaners runs air through a fabric that filters and strains out all debris and dust particles, leaving fresh, clean air. These type of air purifiers are in almost every heater/cooler system inside a house. On the other hand, there are air filters that use activated charcoal to filter air. More advanced air purifier systems use ionized electric charges to purify air. Are All Air Purifiers the Same? All air purifiers are definitely not the same. They may all clean air, but some do a much better job than others do. An activated charcoal based air purifier will clean air far better than a simple air cleaner, due to activated charcoal’s large surface area. An ionized filter may perform even better than an activated charcoal filter. However, it’s important to keep in mind that with better quality comes greater price. The filters in air purifiers to need to be changed every so often. Some of the better ones can last longer before changing is needed, hence, the price. In other words, what type of air purifier a person wants will depend on their budget and needs. Although the better purifiers may cost more, they may pay off in the long run. Want the fresh purified air in your Cedar Falls home? Call Dalton Plumbing, Heating, & Cooling Inc. at (319) 266-3513 and breathe in the purified air you deserve. Everyone needs a furnace in their home or office. However, people often make a big mistake when it comes to actually purchasing it. A common assumption among many people is that bigger is always better. On the other side, many people feel that a smaller and less expensive option is always the right choice. In reality, one of the most important aspects of a new furnace is how well it fits certain size specifications. The most practical reason for buying a furnace that’s properly sized is related to cost. The general costs for a furnace vary heavily through a number of different factors. However, it’s important to remember that the initial differences with any furnace are minor compared to a larger associated cost. Actually operating the furnace is where the expenses really begin to build up. And a furnace which isn’t properly sized to what the building requires will come with much higher operating costs. It will either use far more power than is needed, or it will end up struggling to provide for a building’s needs. Many people assume that a furnace will always be loud. This is just based on their personal experience. And they are, of course, correct in assuming that a furnace will always make noise. However, much of what people assume is normal for a heating system is actually due to a improperly sized furnace. Both one that’s too small and one that’s too large can contribute to general noise pollution within a building. It’s either going to be struggling to keep up with the building’s requirements, or it will be blasting out a level of power which is overwhelming. What’s needed is a nice middle ground which will allow for a much quieter level of operation. Of course another element of the size of a furnace is the space it takes up. People often forget that a furnace can take up a rather sizable portion of an area. And because the furnace’s size will scale to the area it needs to heat, this often means that a larger home isn’t much protection from lost space. Space is always a precious and scarce commodity. One needs to ensure that his home is as efficiently run as possible if he wants to maximize it’s value. Are you looking for the right furnace size for your Cedar Falls home? Dalton Plumbing, Heating, & Cooling Inc. can help, just Call (319) 266-3513, to get reliable service from the professionals.